The SiAngie Twins are Philadelphia natives of Puerto Rican decent. The Twins, composed of Sianney and Angelise Garcia, are the sisters of professional boxer, Danny Garcia! Their huge following on the infamous teen phenomenon Musical.ly, Instagram, and YouTube has helped them on their road to stardom. Their Love for pop and hip-hop is the driving sound for their new EP, Innocent Savages which was released under their new record label deal with DSG Music brand, Penalty Entertainment, and The Orchard (formerly Sony Red). The Ep driven by their first single 'Show Me' has been well excepted and has now set the tone for their new single 'Sazon" Produced by @DatBoyRico. The Song is based off the latin seasoning flavor Sazon. The SiAngie Twins are talking heavy and letting everyone know that they have that Sazon so come correct... 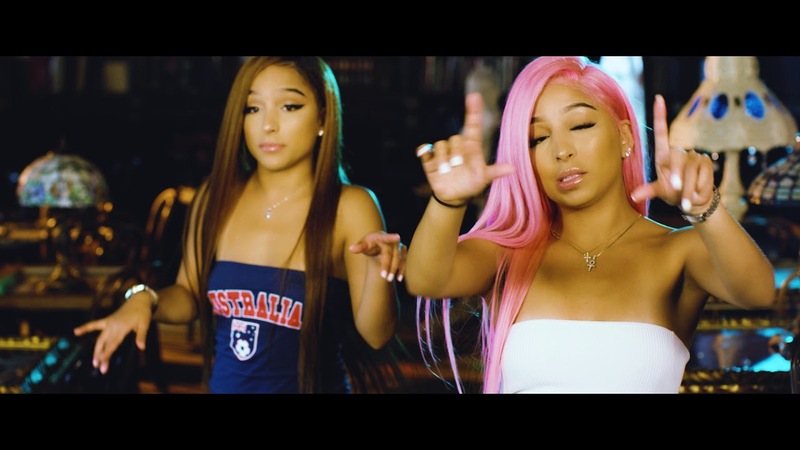 The Sazonvideo shot and directed by Jose Javy Ferrer shows the SiAngie Twins have arrived and the skys the limit.